You are here: HomenextPeoplenextLocal folknextA wartime Whitehawk group? My Grandmother Mrs. Sarah Cook is in all of these photos. She lived at 15 Hervey Road Whitehawk. 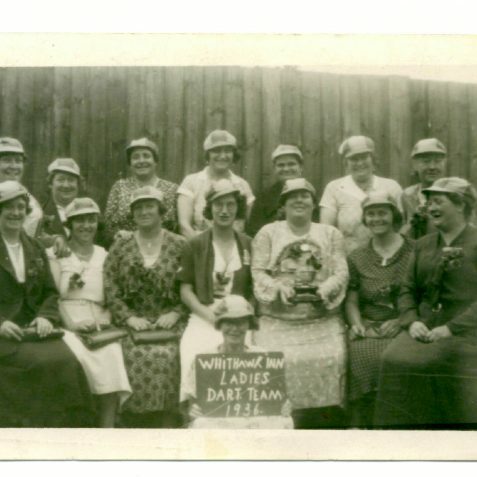 It seems she was a member of the Whitehawk Inn Ladies Darts Team and according to one of the pictures she was a member in 1936. 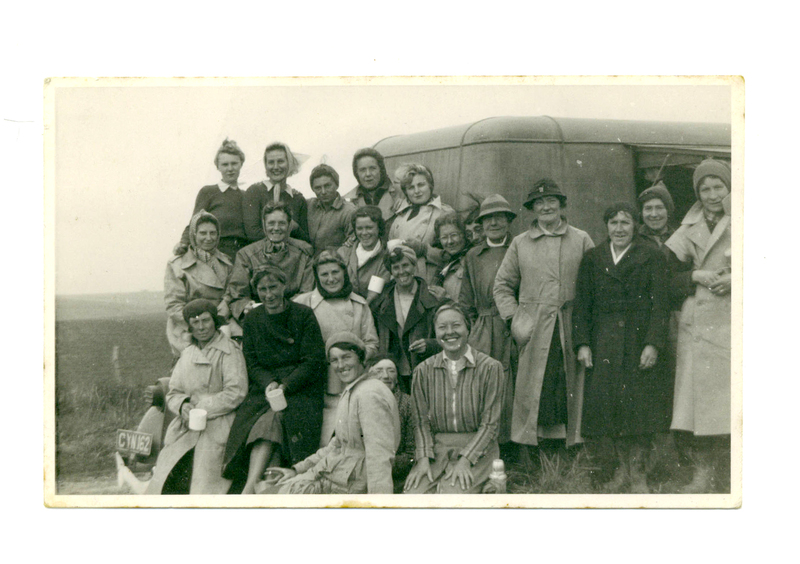 The other two photos are more of a mystery they seem to be have been taken later, possibly during the war going by the van with its blackout covers on the lights. Some of the women could be the same as in the darts team. I’m sure they would all be from Whitehawk. 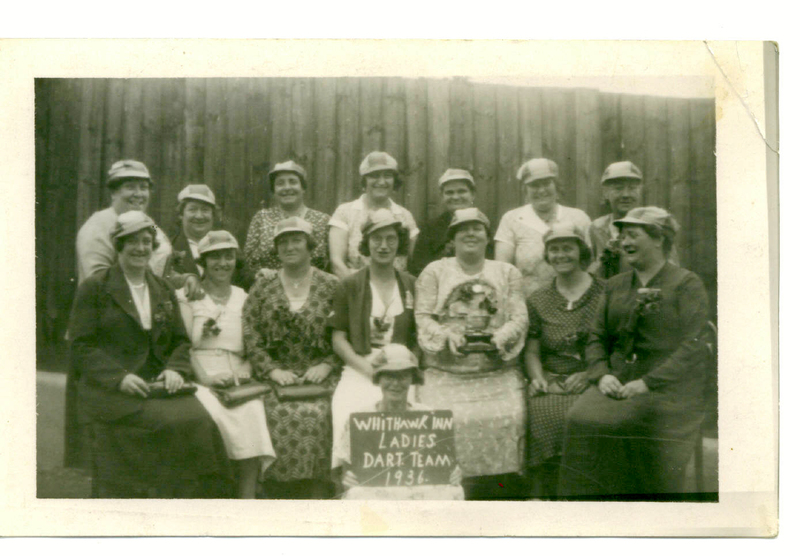 My grandmother is the one in the dark hat with the badge on it and has a light coloured coat on. (fourth from the left standing in front of the van). Hello Eric. 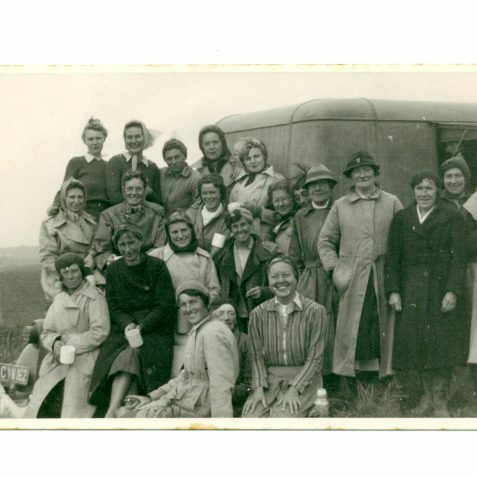 The picture is clearly of a group of Women’s Land Army Girls. The vehicle is almost definitely a Ford V8 Side Valve, possibly derived from a just pre-war V8 Pilot predecessor. Could this have been hop picking? 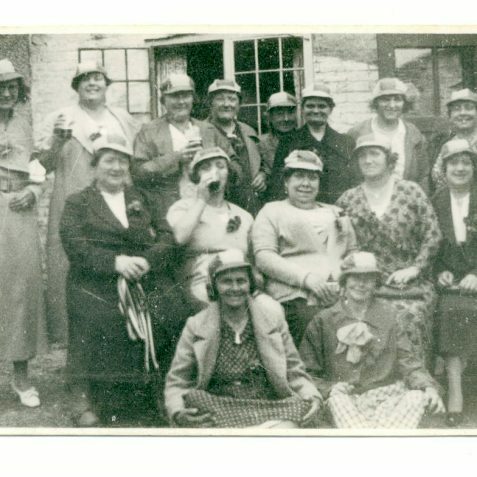 Could they be the Land Army Girls working in Peacehaven? The fields in the background look like the ones at the back of Peacehaven where I worked in the 60s for Grant Currie. 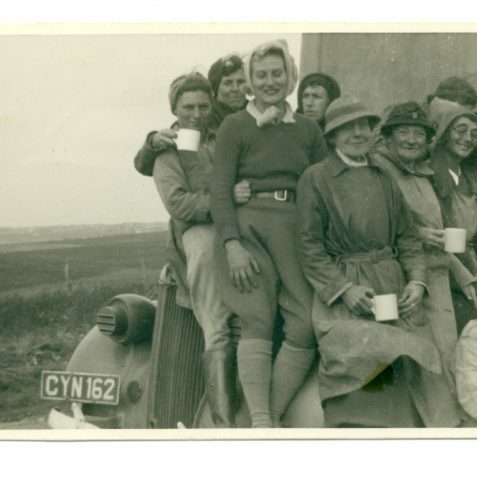 The picture almost certainly depicts the Women’s Land Army. Note the jodphurs, army type jerseys and the lady with the felt hat and badge – all typical of the uniform supplied. 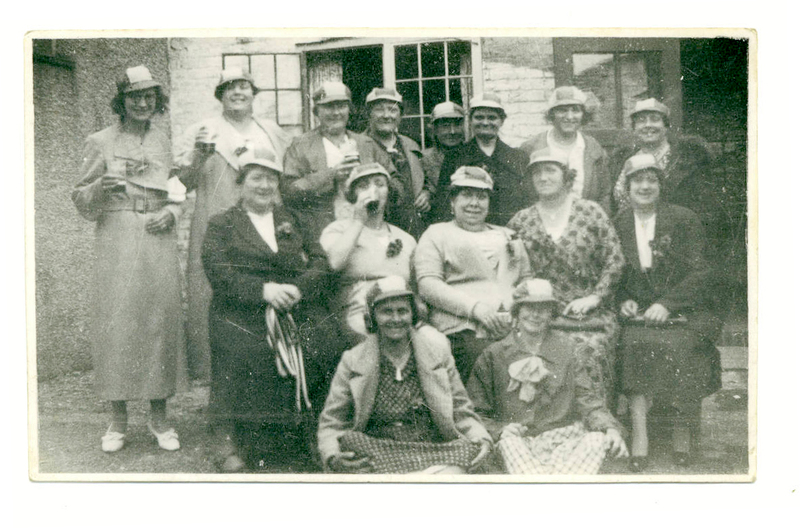 Initially the Land Girls were filled from volunteers but later conscription was introduced, swelling the number so employed enormously. 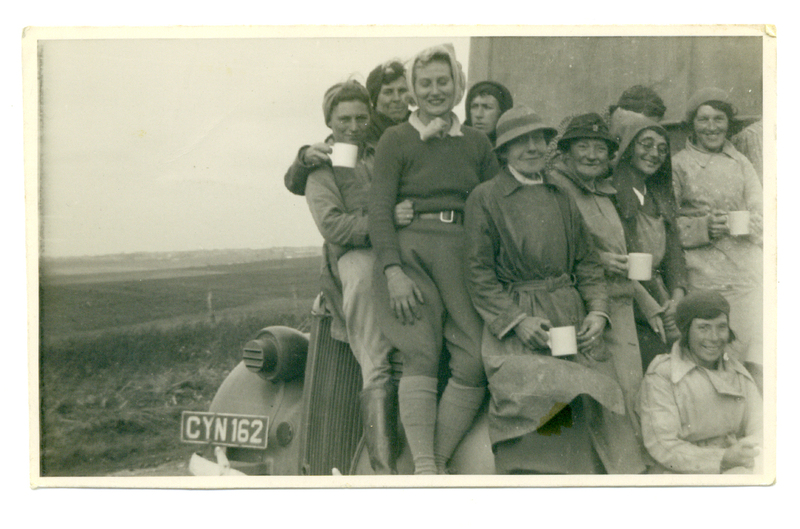 The girls in your picture were most likely working in the fields, which appear in the background to have been cultivated ready for sowing – perhaps taking a cuppa before returning to work.